Last week’s Better Call Saul had an excellent ukulele version of Something Stupid by Lola Marsh. They discussed the track at length on the Insider Podcast and revealed it was commissioned for the show. Explaining why it fits so well. Down to the stereo split of the vocals matching the split screen. For this sheet, I’ve written up Frank and Nancy Sinatra’s version and used a capo on the fourth fret. That makes most of the chords much more straightforward. But there’s still the Ab that may need some practice. Intro and Solo: Main strum once per chord. 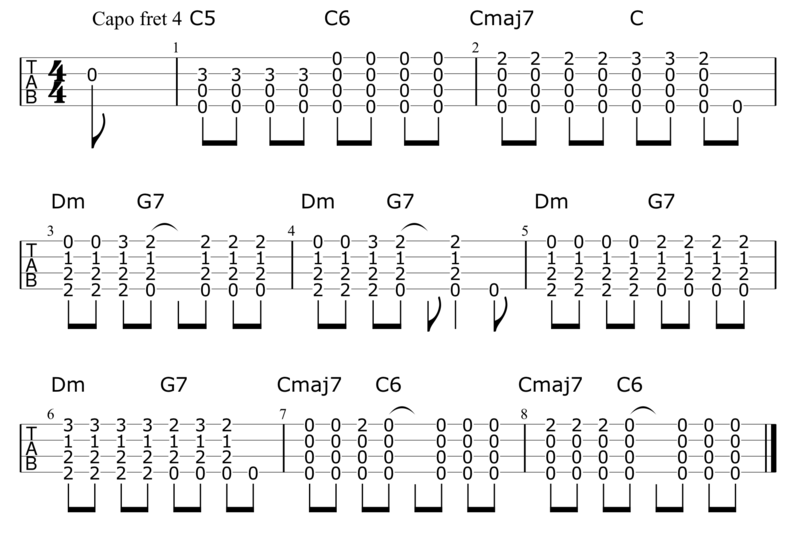 Verses: Main strum once per chord until the C7. Main strum four times on C7, twice each on F and Ab. Then back to the main strum once per chord for the rest. 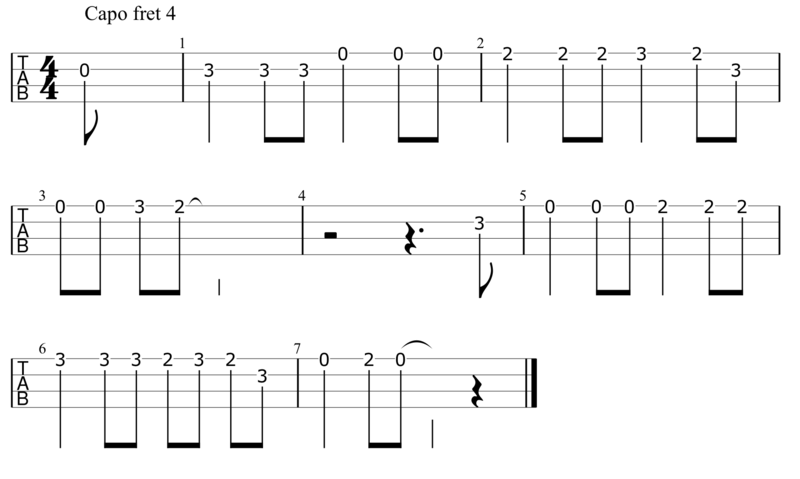 Middle: Main strum four times per chord. Here’s a version of the opening lick played without a capo. The solo fits very nicely on the uke with a capo on the fourth fret. So I arranged this version that includes both the chords and the melody line. Here’s a version with just the melody line if you prefer that.